Nestled on 10 wooded acres minutes away from Flathead Lake plus the quaint village of Bigfork is a hidden gem. This majestic 5500+ sf lodge style Montana retreat is full of space, upgrades and privacy, yet close to desired conveniences. It features an open floor plan with 25ft vaulted ceilings, a stunning hand-hewn log staircase to the loft and attached studio unit with private entrance & patio. Fabulous ranch style home with private community Flathead Lake access that includes a park area, dock, swimming, and campfire to enjoy. The front of the home looks at a meadow. The fully fenced yard is well maintained with several private outside entertainment areas, a vegetable garden, fire pit and a separately fenced dog run. Additional 400sf garage includes a 200sf storage loft and attached carport. Located close to state park and Bigfork Village. PRICE REDUCED! Fresh exterior pant and fresh paved driveway. Enjoy MAIN FLOOR LIVING and fabulous mountain views from this pristine property! Need space? This amazing 5 bed 3 bath home features .66 acres and 4,262 SF of a well thought out floor plan. Features include Vaulted 14 Ceilings, Hardwood Floors, Kitchen w/Dual Fireplace, and the Master Suite on the main floor. The fully finished basement includes plenty of space for your hobbies as well as a Media Room. Impressive custom Amish built log home nestled on 11.86 acres in the western foothills of Kalispell. This majestic 3000+ sf rustic log home features an impressive mix of 16” hand-hewn full scribed logs, posts and beams, stone, antiqued copper and artistic carved accents throughout. 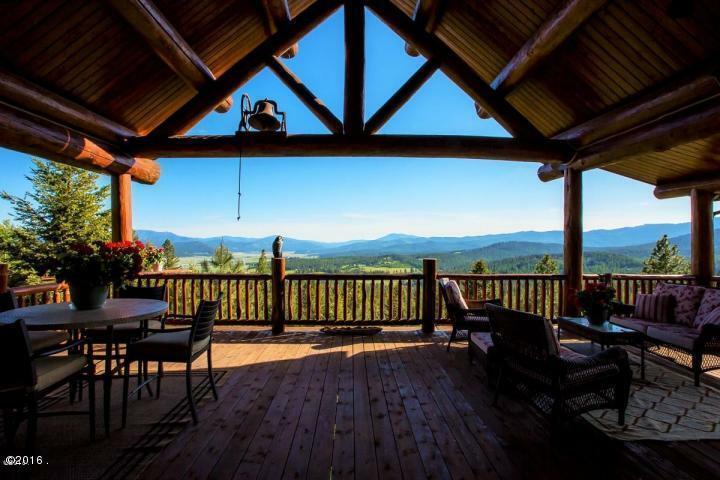 Breath taking mountain views include Smith valley, Smith lake and Blacktail Ski Resort. Enjoy the privacy and seclusion from the city yet only 20 minutes from Kalispell Regional Hospital and town. Less than an hour from Glacier National Park and Whitefish Ski Resort!